Driving is an enthralling experience for everyone to enjoy your moments in a friendly environment. This feeling excites you with many learning experiences. But for this you need to learn driving from your end and can make your dreams fulfill. When you think about touching the highest altitude of life then you will have to fulfill your wishes. 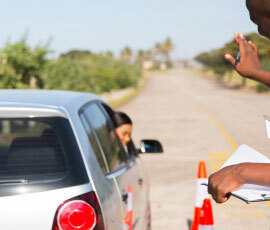 Driver trainings provide you prosper role to learn various ability and procedure behind learning driving. When you think about learning then contact Dhoot Driving School at Hide Park is best to supervise and meet your control measures with more classes and training session. We provide trained mentor and guide to teach you and sustain moral support which is very compulsory for a learner. We provide special quality series and gathering for learning classes. But there are policy and ideology to be followed after each terms and condition, beneath learning we tell you to follow guiding principle and for this there are safety control plan which you should know. We make everything possible for you if you are a good learner there comes barrier of language problem which can be resolved and you feel comfortable. We guide in every perspective languages like, Spanish, France, Hindi, Urdu .We make our learners very comfortable and ease. The Training session from our side includes ethical support and motivational level which help you in prospering learning experience. The Dhoot Driving School classes provide you benefits and morale support but actually you need safety control measures like you need proper driving license registered under control factors. There are some guidelines to be followed and for this guiding principles are needed. We arrange training sessions for issuance of driving license and for these instructors which are semi trained in this field help you lot. We Dhoot Driving School center have a tendency to accustomed keep totally equipped facility like conjugation of cars maintenance, quality measures, and cars excellence check up measures are checked time to time by that we are able to cut back the probabilities of accidents. We have a propensity to convey most excellent driving course as out instructors causes you to feel ease in creating learning driving as they’re skilled during this line. We are based in Hide Park London, we Dhoot Driving School abundantly deal with driver training route and we have some essentials collection on which we work. â€¢	LGV/HGV Training- This High Goods And Large Goods Vehicle training includes commodities motor vehicle training in two torrent Large Goods Vehicle/Heavy Goods Vehicle they copiously helps in consignment of loading heavy prerequisites. For this C1 + E – 7.5t, C1 License is compulsory; C1 + E â€“ License – up to 32 tones, C + E Truck & Trailer, Pass Protection is required to check all basic necessities to complete. â€¢	PCV Training- This is categorize for knowledge of ace bus or minibus manually known as Passenger Carrying Vehicle .This is carried out for carrying customer but for this license is necessary like , D1 Minibus, D Manual Coach, D+E Coach and Trailer, D Automatic Bus and Pass Protection is very crucial for different tagging. â€¢	Driver CPC Training- For training and skilled learning drivers CPC modules, CPC Case Study, Driver CPC Training, Theory Test, Refresher Training Courses, B + E car and trailer guidance are very compulsory and Certificate for competence is essential prerequisite for specialized driver. The most essential issue is currently dayâ€™s carrying Vehicles, Lorries, and bus drivers ought to pass the test for getting Driver Certificate of skilled ability. This is often abundantly initial essential papers for obtaining the license for future perspective. For this long hours coaching session are required for long duration. 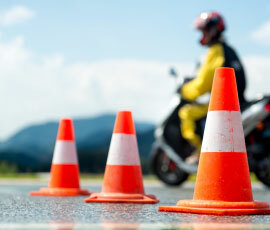 We categorize sessions in different classes to teach them how to drive. We offer you best deal and best sessions classes by providing you better and skilled instructors. There are classroom modules and video sessions are given by which you can sightsee the driving part and get positive approach in learning. Our website deals with online services too by which you can go through on live chat and can in touch with terms and condition of Driving Sessions. We have a tendency to teach you ways to drive in night throughout fog times, urban driving on broken roads, twin carriage .By registering with us you get fully satisfaction level and will get full package of learning experience. We have a tendency to assist you in obtaining insurance for own vehicle simply and you are not worried to drive your own vehicle. Dhoot coaching is that the main hub where from start point to finish you’re given help for skilled driving and helps you in obtaining the license. We as a whole help every individual coming from different countries in every possible way. So now you have to come with Dhoot Driving School and start with us for learning driving. We assure to serve you best.